The Ancient Greeks used drama as a way of learning about life, musing about the world, and learning what being human means. The two major types of drama in Greek plays were comedy and tragedy. Comedy was usually in the form of some dramatic moment involving vain or foolish people involved in some sort of strange situation that does not end in disaster or death. Tragedy covered a variety of themes but especially the idea of being a captive of fate or destiny and the failure to escape from that regardless of desire or effort. The great surviving Greek comic authors are Aristophanes and Melander. 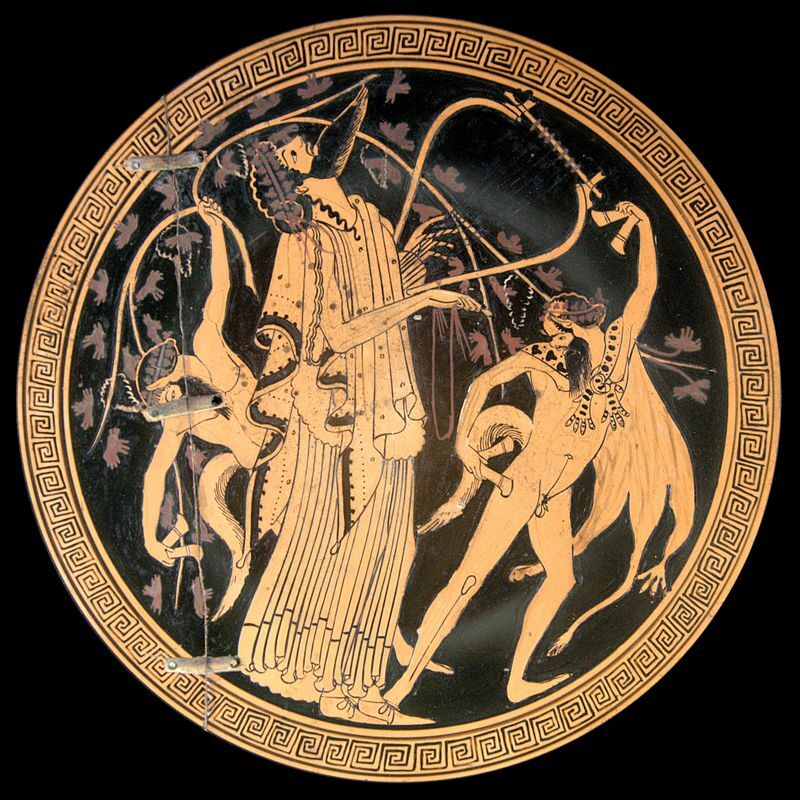 The masters of Greek Tragedy were Aeschylus, Euripides and Sophocles. Only a tiny fraction of their works have survived to modern times. Homer was the greatest of Greek epic poets, considered to be the creator of the Illiad and Odyssey epics. He was not a writer however; instead he was a speaker who would recite the epic poems from memory to audiences. Legend has it that he was blind and some modern scholarship questions whether he existed at all, whether "he" was multiple people or even male. Regardless he is considered the father of Ancient Greek poetry and a prime shaper of Greek culture. The study of History as a disipline has its roots in Ancient Greece. The two most famous historians who's writings have survived to modern times are Herodotus and Thucydides. Herodotus wrote about the origin of the Greco-Persian wars. Thucydides, a later writer of history, is considered to be more "serious" because he did not write about intervention by the Greek gods as being behind the causes of the events he recorded. Thucydides wrote about the Peloponnesian War. "The Acropolis of Athens and its monuments are universal symbols of the classical spirit and civilization and form the greatest architectural and artistic complex bequeathed by Greek Antiquity to the world. 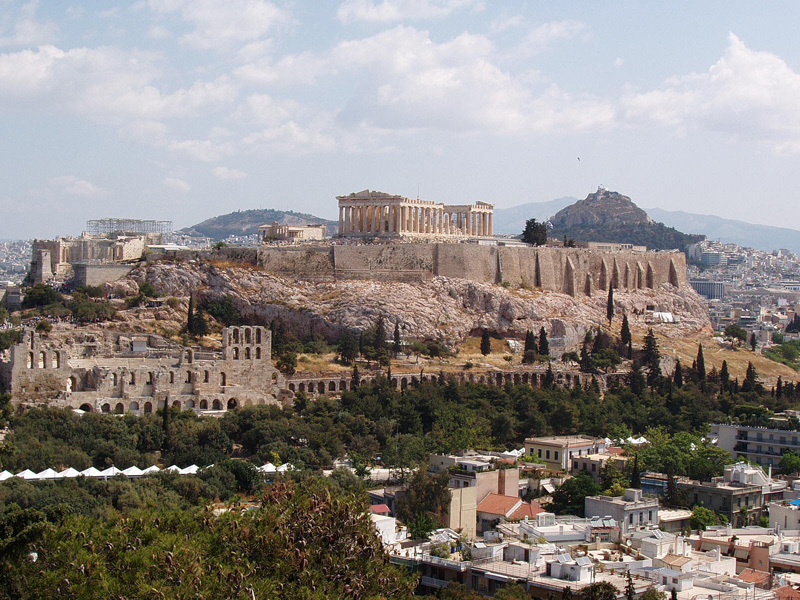 In the second half of the fifth century bc, Athens, following the victory against the Persians and the establishment of democracy, took a leading position amongst the other city-states of the ancient world. 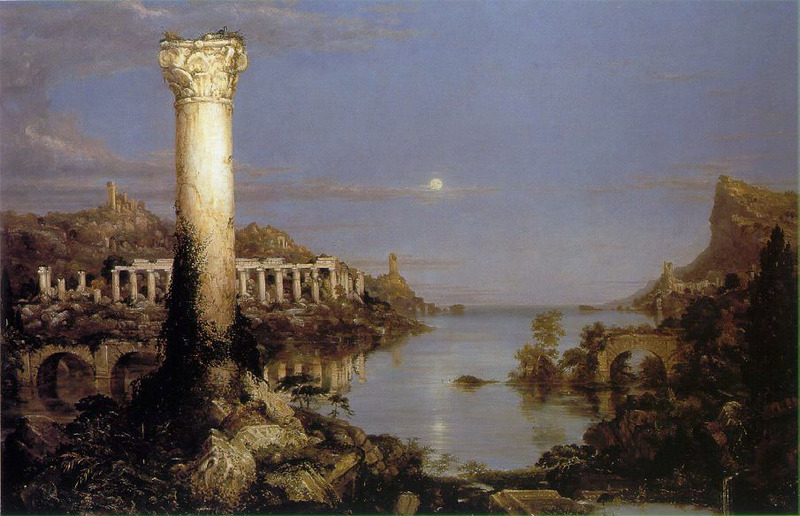 In the age that followed, as thought and art flourished, an exceptional group of artists put into effect the ambitious plans of Athenian statesman Pericles and, under the inspired guidance of the sculptor Pheidias, transformed the rocky hill into a unique monument of thought and the arts. The most important monuments were built during that time: the Parthenon, built by Ictinus, the Erechtheon, the Propylaea, the monumental entrance to the Acropolis, designed by Mnesicles and the small temple Athena Nike." 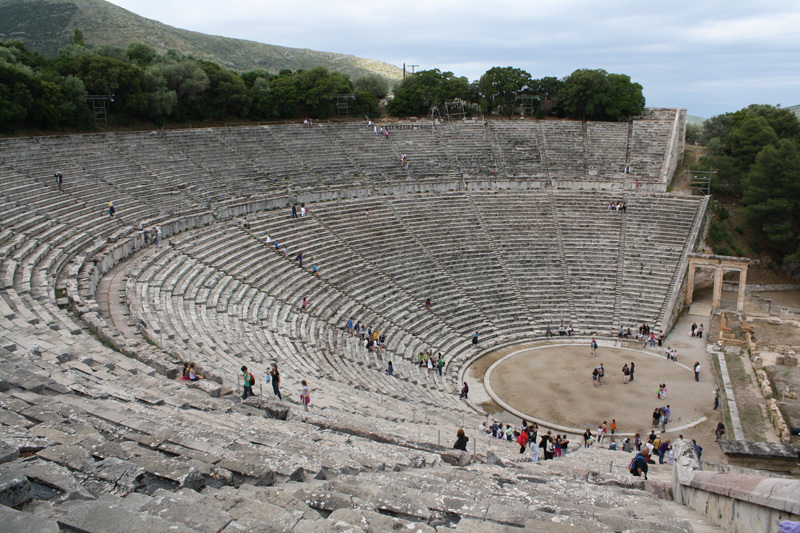 The culture of ancient Greece was heavily centered around the theatre, mostly developed in Athens. Drama competitions were held during festivals and that is the origin of most of the famous works of ancient Greek literature that have survived to modern times. 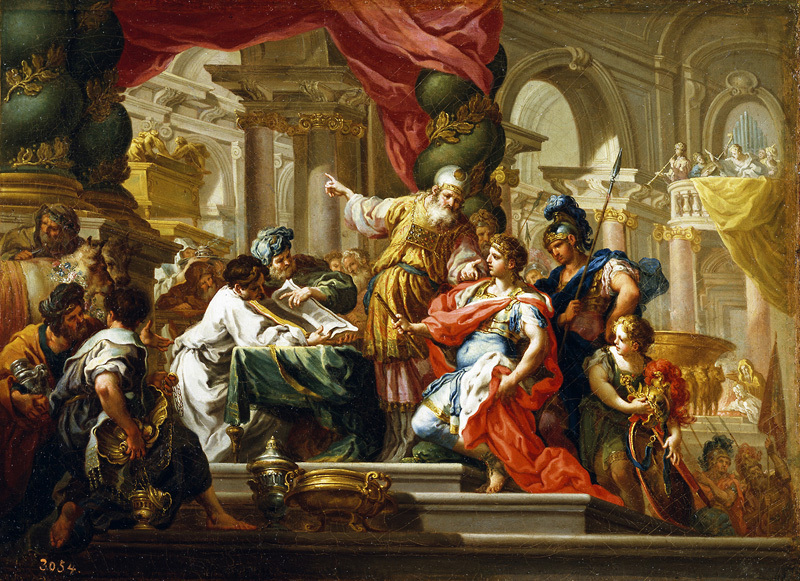 As Alexander the Great conquered most of the ancient world, he sought to make it more Greek in character by importing Greek thought, customs, and styles for the naitives to emulate, particularly in the cities that he founded throughout his empire. This culture was known as Hellenism and was prominent in the region from the death of Alexander to the rise of Christianity. Ancient Greek philosophy lasted about five hundred years, from Greek pre-history to the conquest of Greece by the Roman Empire. 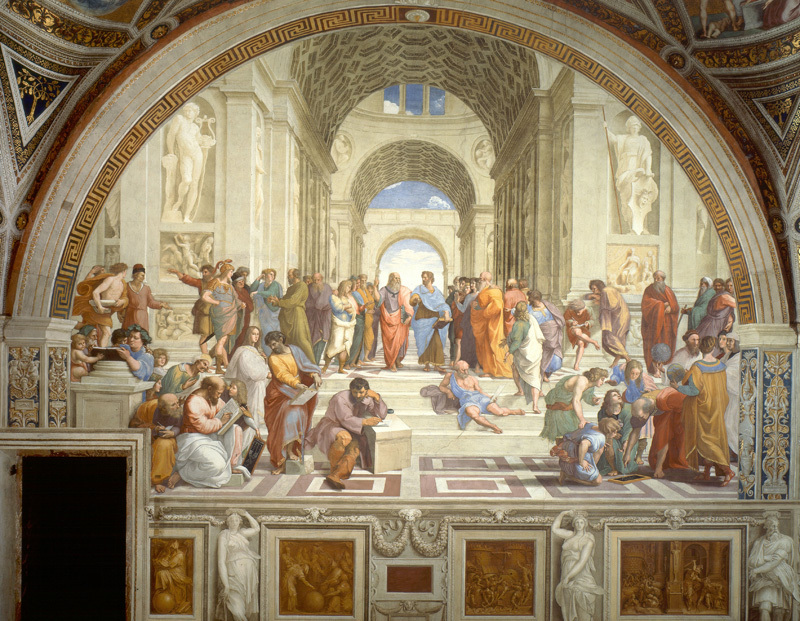 The philosophy of Ancient Greece is essentially the foundation of almost all philosophy that exists and has had a near total influence on the development of Western and Modern civilization. 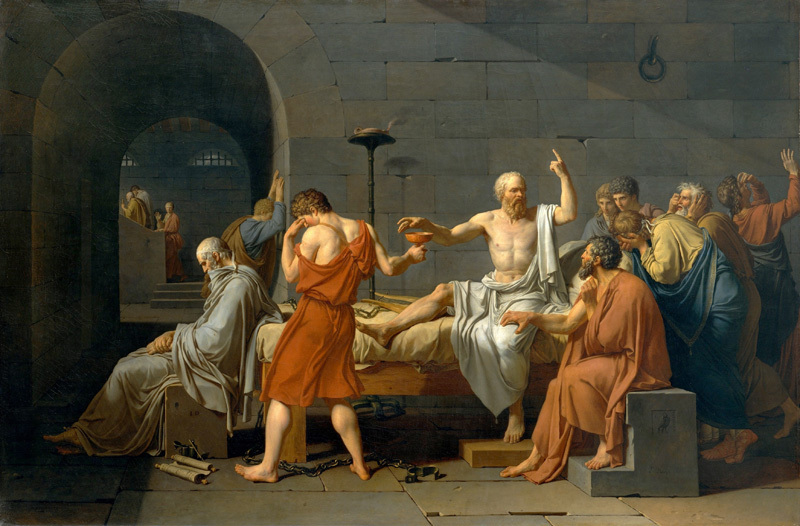 Greek philosophy has touched on every subject including rhetoric, metaphysics, ethics, and politics. There have been a variety of Greek philosophers, including some where only fragments of their work and writings have survived. The heart of Greek philosophy that has survived to modern times is based on the thought and works of three men: Socrates, Plato, and Aristotle. 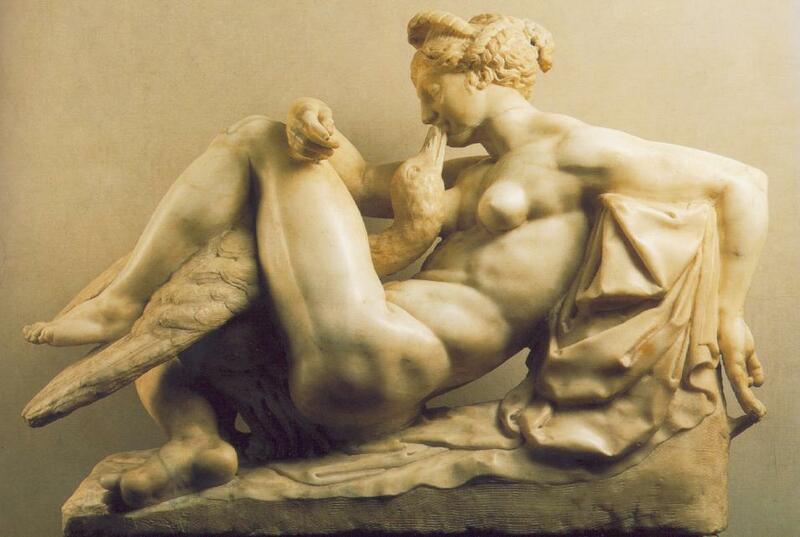 Ancient Greek religion is what we know today as Greek Mythology. Religion in ancient Greece was polytheistic, meaning that they worshiped a variety of gods rather than a single God. The pantheon or collection of Greek gods are well known: Zeus, Hera, Poseidon, Apollo, Aphrodite, and Athena among others. Greek gods feature prominently in the two greatest Greek epic poems: the Iliad and the Odyssey. 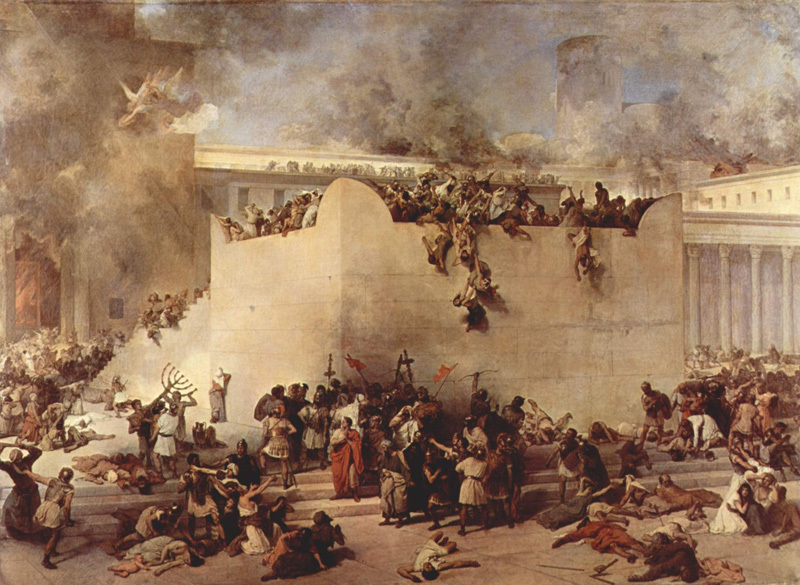 For fifty years there were a series of wars between the Greek city states and the Persian Empire. Of the course of this conflict, the Persians attempted to conquer and subdue the whole of Greece, especially Athens and Sparta. 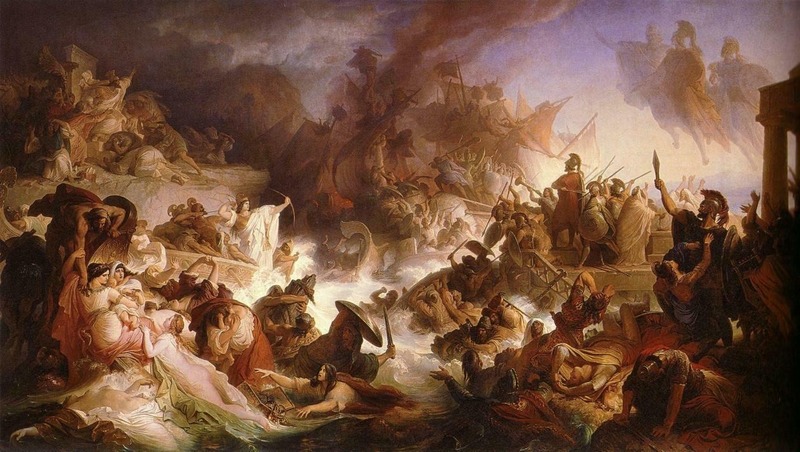 Four famous battles were the result of this conflict: The Battle of Marathon which stopped the first Persian invasion force in 490 B.C., the Battle of Thermopylae in 480 B.C. where 300 Spartans famously held back the Persians buying the rest of Greece time to regroup their forces, the Battle of Salamis where the Greek navy destroyed the Persian invasion attempt, and finally the Battle of Plataea where the Persians were decisively defeated and the threat of Persian conquest ended for all time. Eventually the Persian Empire itself was conquered by the armies of Alexander the Great of Macedonia. Most famously known for holding back the entire Persian army with only a small force at the Battle of Thermopylae during the Greco-Persian wars, Sparta (also called Lacedaemon) was a major city-state in Ancient Greece. 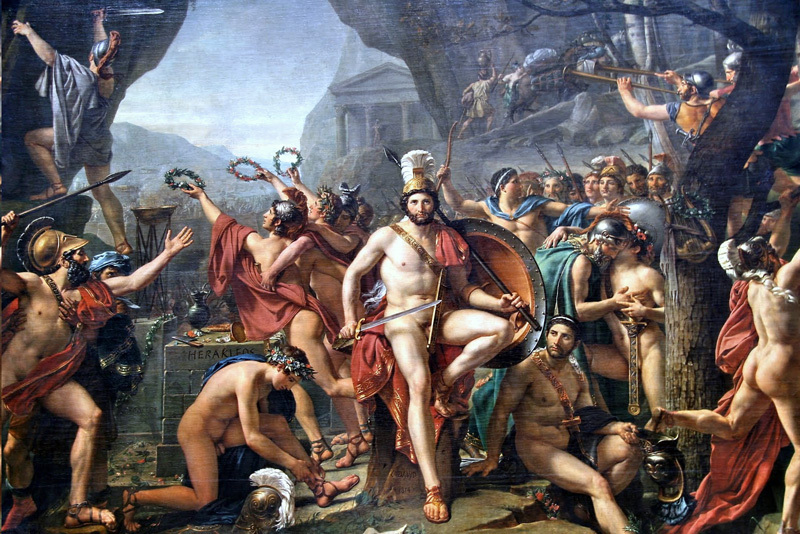 Sparta was unique among the ancient Greek city-states in that it focused its free population completely on military training. During the Peloponnesian War, Sparta was the main enemy of Athens. The Spartans ultimately defeated and conquered Athens. Sparta remained independent until the Roman conquest of Greece. The Peloponnesian War (431–404 BC) was a war fought in the aftermath of the Greek defeat of the Persian Empire. Athens, having lead the Greek city-states to victory, took advantage of the naval strength it developed in the war to turn its allies into vassals and become an empire. The attempts to keep its vassals subdued and to maintain the power of their empire lead to more than a quarter century of war among Athens, Sparta, and the other remaining Greek city-states. The Peloponnesian War ultimately ended up draining Athens and leading to its defeat and conquest by its rival Sparta. Alexander III of Macedon (July 356 – June 323 BC), known more famously as Alexander the Great was King of the Kingdom of Macedonia. Though he was the king of a Greek kingdom, he spent most of his life outside of its borders, destroying his enemies and conquering large parts of the world. By the time he was 30 years old he had conquered most of the known world, destroying the Persian empire, creating the largest empire of the ancient world, founding cities named after him (Alexandria in Egypt being the most prominent example), and becoming one of the most successful military commanders in history.